I got an email late last night to say that an article about screen portrayals of the emperor Augustus which I wrote last Christmas has now been published. It’s always great to see another publication finally emerging into the daylight, but this one is particularly satisfying because it has been published in an online journal, so that anyone with internet access can read it for free! The story of Octavian / Augustus’ life follows a rather problematic narrative trajectory. Reduced to its basic elements, it is the tale of a man who overthrew the Roman Republic and installed himself as an absolute monarch, yet enjoyed widespread contemporary acclaim and died peacefully in his bed. Lacking the moral complexity of Julius Caesar’s story, or the prurient thrills offered by proper ‘bad’ emperors, this narrative has rarely been tackled in full by western story-tellers. 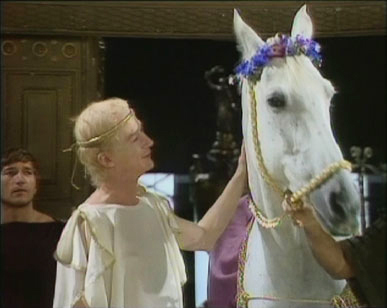 Instead, in the 20th century, Octavian / Augustus appeared most frequently on screen as a secondary character in the stories of others – particularly as a villainous foil to Antony and Cleopatra – while only a handful of novelists attempted a fuller biographical approach. Nonetheless, a popular appetite for screen portrayals of Roman history in the early 21st century has kept producers and screenwriters returning to his story, and one TV mini-series, Imperium: Augustus (2003), has now offered the first ever screen biopic of this contradictory character. This paper examines the narrative strategies used in this production and their degree of success in making the story of Octavian / Augustus palatable to contemporary western audiences. Making strong claims to historical accuracy, Imperium: Augustus builds on approaches already established in biographical novels, but also deploys characteristically filmic devices such as the flashback to help create a compelling drama. Audience responses suggest that it was only a partial success, but Augustus’ story still offers ample opportunities for exploring modern concerns such as the crafting of political personas or the relationship between security and civil liberties. These could perhaps be better satisfied in the medium of the documentary, and we can fully expect such treatments to appear in connection with the bimillennium of his death on 19th August 2014. If you’d like to read more, you can find the full paper at New Voices in Classical Reception Studies 7: see the second item in the table of contents. I’m very pleased today to see Wootton Bassett being granted Royal status. Not, I should hastily explain, because I feel entirely comfortable with the ideologies being expressed. But because it will make it a lot easier next year to help my City in the Roman world students understand the concept of a promotion in civic status. In fact, it has a lot of potential resonances for this year’s Augustus and his legacy students, as well. It pleases the Senate that the inhabitants of Plarasa and Aphrodisias, as C. Caesar Imperator has decided, shall be free in all equity and honour, and that the cities of the Plarasians and Aphrodisians shall have the usage of their own law and justice… It also pleases the Senate that the people of the Plarasians and Aphrodisians should have the enjoyment of liberty and exemption in all matters, and since their city is one of excellent law and excellent right, the said city holds liberty and exemption from the Roman people, and has been made ally and friend. Very much as in Wootton Bassett, Plarasa and Aphrodisias are basically being rewarded for having supported the prevailing powers in the state. The context here is one of recent civil war, and the grant of free status comes in return for having supported the side of Antony and Octavian (or C. Caesar Imperator as the inscription calls him) against Brutus and Cassius, the assassins of Caesar, in 42 BC. Thankfully, the civil war parallel does not hold up, but Wootton Bassett too is being honoured for supporting military campaigns undertaken by the British government by turning out en masse to salute the coffins of soldiers killed abroad as they arrive back in Britain. The inscription also reveals a similar distinction between real and ceremonial power to the one at work today in Wootton Bassett. Though Royal status has been granted formally by the Queen, the BBC reports that this is in response to a petition presented by David Cameron. Similarly, the grant to Plarasa and Aphrodisias came formally from the senate – but the phrase “as C. Caesar Imperator has decided” makes it clear who was really behind it. 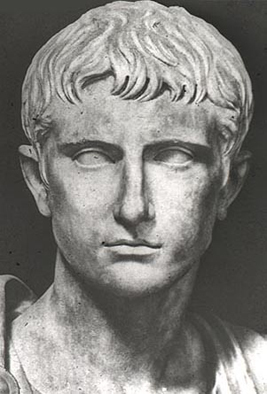 Octavian (as we more usually know him) had not yet quite finished wiping out his rivals and taking complete control of the Roman state at this time, but with Antony in the east and Lepidus in Africa he was the most powerful man in Rome in 39 BC. This grant to two loyal communities was in his personal interests – a demonstration of the potential benefits of supporting him in a war, and perhaps one particularly worth making in the context of Asia Minor at this time, given that he already had reason to believe that Antony was trying to build up his own powerbase in the area. Indeed, there is a touch of similar competitive politics going on here as well. A quick Google revealed that the Queen, in response to a request from a retired naval officer, asked Gordon Brown [warning – Daily Mail link!] to consider giving Wootton Bassett royal status in 2009. The fact that he didn’t, and David Cameron now has, of course translates into useful political capital for the current Prime Minister, in much the same way that Octavian’s grant amounted to a strike against Mark Antony. There are differences too, of course. The practical implications of Wootton Bassett’s new status don’t seem to be very extensive. So far as I can tell, they now have a new name and a new coat of arms, and that’s about it. By contrast, after their grant of free status, Plarasa and Aphrodisias could pass their own laws (so long as they were compatible with those of the Roman state) and no longer had to pay any taxes to Rome. These are significant concessions which would have had a real impact on the communities concerned. In fact, free status was the greatest level of privilege available to the cities of the eastern Roman empire, and basically meant completely autonomous local government while still remaining under the protection of the Roman state and its armies. But that is an inherent difference between the Roman empire and modern Britain. The central government of the Roman empire was small, and most day-to-day administration was left in the hands of local communities. The political structure of modern Britain is much more centralised. As to how the people of Plarasa and Aphrodisias celebrated their new status, history does not relate. But given the importance of the grant, I think we can take what is happening in Wootton Bassett as a minimum. It’s certainly very likely that the citizens would have gathered in the centre of each city while the leading local magistrates read out the letter declaring their new status, just as the mayor of Wootton Bassett has spoken to the local community today. That is, after all, how new laws and decrees were usually disseminated in the Roman empire – as they had to be in a world with such low literacy rates. And I’m ready to bet they had parades and music and religious ceremonies as well. What they probably didn’t have was a visit from Octavian – unlike for David Cameron and Wootton Bassett, Asia Minor wasn’t just a quick car journey away for him, and besides he had rather pressing business in Rome at the time. But Octavian did travel through Asia during the winter of 30-29 BC, between his final victory over Antony and Cleopatra and his triumphal return to Rome. We don’t know that he visited Plarasa and Aphrodisias while he was there, but it would certainly have benefited him to pop in and reaffirm good relations with the local people. Given what a shrewd politician he was, I’m betting he did. Last academic year, one of my students wrote a dissertation comparing Tony Blair with the first Roman emperor, Augustus. She looked at themes such as the way they managed their public image, the things they emphasised in their political rhetoric, and the relationship between their private lives (e.g. religion, family) and public profiles. All in all, she did a good job of arguing that although they were obviously operating in very different political environments, there were certain distinctive similarities in the ways that they presented themselves as politicians and aimed to foster public support – a basic template for statesmanship, if you will. Yesterday, Tony Blair ensured that there is yet another resonance between their careers by publishing his memoirs and dedicating their proceeds to the Royal British Legion. Specifically, a £4.6 million advance payment from his publishers will go towards the Legion’s Battle Back Challenge Centre for the rehabilitation of injured service personnel – as will any further profits if the book out-sells expectations. This is an immensely canny move, which metaphorically transforms a man whom many despise for his eagerness to launch illegal and unnecessary wars in Iraq and Afghanistan into a selfless benefactor, putting the needs of the soldiers who fought for him before his own financial interests. As the official statement has it, this is to be his way of recognising and honouring “the courage and sacrifice the armed forces demonstrate”. The contrast with Peter Mandelson’s slimy scandal-mongering method of publicising his own memoirs is striking. And though Mandelson may make more money from his book, Blair’s approach is likely to reach more people, more persuasively. Even his critics will now feel that at least he is not profiting directly if they buy they book and read his side of the story – which must, of course, be what he really hopes to get out of it. 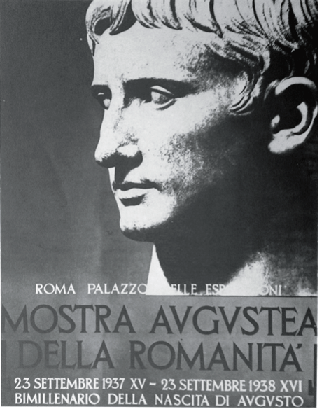 But, as with so many strokes of political genius, Augustus got there first. His donations to his veteran soldiers weren’t actually funded out of the profits of writing his memoirs. In a world without copyright law, politicians couldn’t expect to make serious money that way, and in any case generally didn’t need to. But they wrote them anyway, for much the same motivations which Tony Blair seems to be displaying – in order to ensure that their stories were recorded in the way that they wanted them to be told. In Augustus’ case, there was one early account, probably written in the 20s BC to justify his own illegal and unnecessary wars, but which is now largely lost beyond a few quotations in other authors. 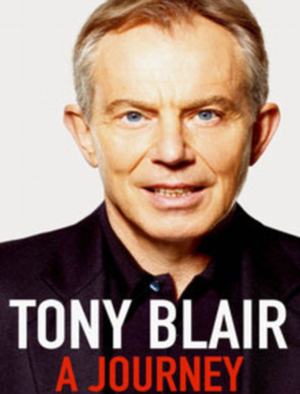 What survives now, though, is closer in character to Tony Blair’s book anyway, in that it is a summary of his entire reign, written from a perspective at the end of his political career – which, since he was an absolute monarch, was in his case also the end of his life. One thing which this account certainly goes out of its way to emphasise is Augustus’ generosity throughout his lifetime – and especially towards his soldiers. The very opening sentence announces that it will record “the amounts which he expended upon the state and the Roman people”. Chapters 15 to 18 then detail his many cash handouts, including those spent on buying land to provide pensions for veteran soldiers, giving out special one-off donatives to veterans already settled in his colonies, and setting up a new treasury especially to fund army pensions. In case you missed that bit, or failed to keep an appropriate running total in your head as you read, there is also a handy summary at the end recapping the total sum spent: 600 million denarii, which for context is 2.67 million times the annual wage of an ordinary legionary soldier at the time. And all of this, he is very careful to specify, came from his own personal fortune, not from the public treasury. He wanted his soldiers to feel personal gratitude and loyalty towards him and his family – not towards some vague abstraction like the state. So this is how to round off your political legacy on the right note, today as it was two millennia ago – publish your own account of your career, and couple it with a magnanimous demonstration of your selfless and paternalistic generosity towards the troops whom you have sent into action. The similarities are not perfect, of course. Blair still maintains that he was ‘right’ to go into Iraq, but he also lives in a society where plenty of other people are ready to criticise him for it. Augustus, by contrast, writes with pride of his foreign conquests. Though he does take care to specify that he never engaged in an ‘unjust war’, this wasn’t in any case a criticism he generally needed to worry about, at least in relation to wars against non-Romans. 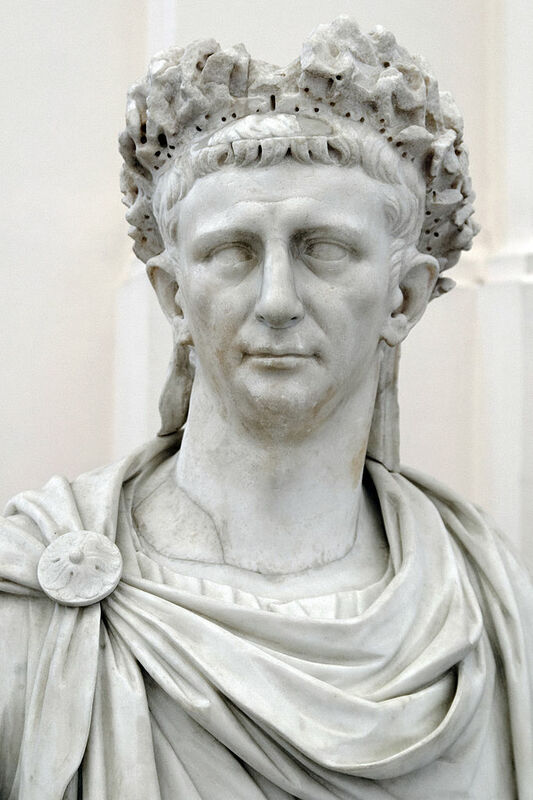 It simply wouldn’t have occurred to most of his contemporaries in Rome to question Augustus’ right to wage war on their behalf against troublesome foreign peoples. Perhaps more comparable to Tony Blair’s Iraq and Afghanistan were the civil wars which Augustus had fought in the 40s and 30s BC, first against the assassins of Julius Caesar and then against Antony and Cleopatra. That was something which Roman commentators did object to – the losses of Roman lives on both sides, for nothing more than the sake of an individual’s hold on power. It was probably largely in order to justify and excuse his role in these wars that Augustus had published his earlier (lost) memoirs. And it is also in those parts of his surviving account that he can be seen most obviously suppressing details and obscuring unpalatable truths. He even calls one set of his opponents ‘pirates’ – surely the ‘terrorists’ of the first century BC. Blair has also been subject to criticism for his donation to the Royal British Legion in a way that Augustus would never have expected. Commentators have called it an empty gesture, an attempt to ease a guilty conscience, and even a form of tax avoidance. But Roman commentators were generally less cynical – or perhaps simply more realistic – about the motives of their politicians. The specific benefactions which a politician chose to make could be criticised, of course, as Cicero’s scathing letter to a friend about the opening shows at Pompey’s theatre reveals. But the basic fact of making large donations was a widely accepted form of political currency. It is obvious from Augustus’ text that he expects nothing but adulation for his generosity towards the troops. Did he expect people to forget all about his misdeeds in return, as people seem to think that Tony Blair is now hoping? Probably not, and they certainly didn’t. But Augustus wouldn’t have expected criticism for the act of the donation itself. This doesn’t mean that I don’t think people today are right to question and criticise Tony Blair’s motives. I’m pretty sure that we are better off living in a society where we aren’t willing (or desperate enough?) to overlook large crimes against humanity for the sake of small material benefits. But our cynical response to this sort of action does also tend to mean that the rich in modern Britain are discouraged from making benefactions at all, thus cutting off a potential means of the redistribution of wealth, as well as a form of connection between people at different levels of the social hierarchy. I wonder if we’ve got it quite right, either.